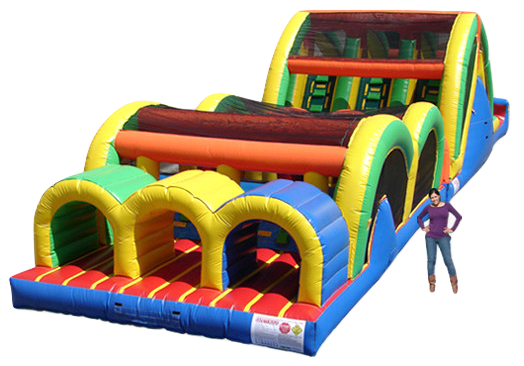 Accept the challenge of the only 3 lane inflatable obstacle course available for rent in Maine and New Hampshire! 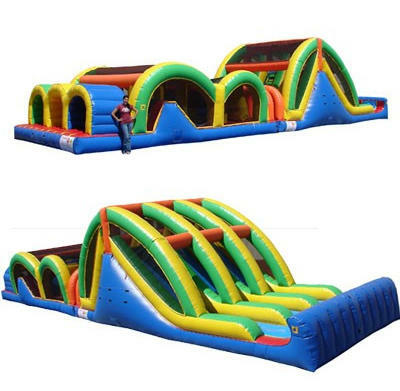 This rental item is perfect for team building, project graduation, school carnivals and more. With 3 lanes the wait time is reduced significantly, so more participants can get through which means shortel lines! It's time to graduate from a moonwalk or bouncy house and party in this fantastic interactive inflatable game.